The other plus to Ashlee’s chic chop is that it’s truly a wash and wear hairstyle. 1. 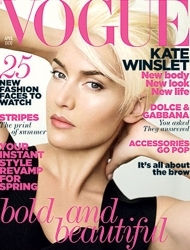 Start by getting your hair cut into a short crop like Ashlee, Kate Winslett and Michelle Williams. Work with your hairstylist to customize your cut and color to your face shape, skin and eye tone. Consider going with a slightly longer crop if that works better for your face shape and desired look. 2. Since Ashlee has gone platinum it’s important she cleanse her hair with products which prevent fading or discoloration. Keep in mind the number one enemy of hair color is water. Only wash with lukewarm water and use products designed to protect bleached strands from fading or turning yellow. 3. When possible cleanse or shampoo less often. If you can stretch your shampoo or cleansing sessions to every 3-4 days that would be ideal. If that doesn’t work for you, consider using water or a gentle Dilute Shampoo (DS) wash to minimize the drying effect of shampoo products. 4. Bleached hair tends to be very dry and more prone to damage. When possible follow a very gentle cleansing routine consisting of Diluted Shampoo (DS), Conditioner Only (CO), Water Only (lukewarm) or Loo-Poo. Any of these alternative methods provide a kinder cleansing option. Always follow a cleansing with a moisturizing rinse out conditioner and a cool/cold water final rinse. 5. Use deep conditioners on a regular basis to keep hair silky and shiny. 6. Short hairstyles like Ashlee’s require regular trims to keep the original shape. Schedule your regular trims in advance to make sure you stick to a regular schedule. 7. If you decide to do root touch-up at home be sure to work with your haircolorist to use the correct formula to avoid root discoloration If you work with a hair colorist be sure to visit the salon in a timely manner to prevent an obvious root regrowth line. 8. For everyday wear a short crop like Ashlee, Kate and Michelle have requires towel blotting, an application of a a tiny bit of styling cream, gel or mousse and light finger tousling. Use a tiny dab of defrisant if hair tends to frizz. A good volume enhancing product applied to the roots will assist with lift at the roots. 9. Glam up your short crop by applying a styling cocktail to damp strands and blow drying with a large round brush. Use the brush in conjunction with a blow dryer to build in lift at the roots and add smoothness throughout the rest of the style. 10. Instantly change up the style by adding hair accessories, changing up the part, or playing with different styling products such as wax, putty or stronger gels. This entry was posted on Thursday, March 10th, 2011 at 3:17 pm	and is filed under Beauty Beat, Blonde hair color, Celebrity Bites, Celebrity Gossip, Celebrity Hairstyles, Celebrity News, Celebrity News & Juice, Chemical Hair Treatments, Hair, Hair Color, Hair Styling Tools, Hairstyles, Hairstyling Tips, Music Scene, Platinum Blonde, Reality TV, Short Hair, Short Hairstyle. You can follow any responses to this entry through the RSS 2.0 feed. Both comments and pings are currently closed.